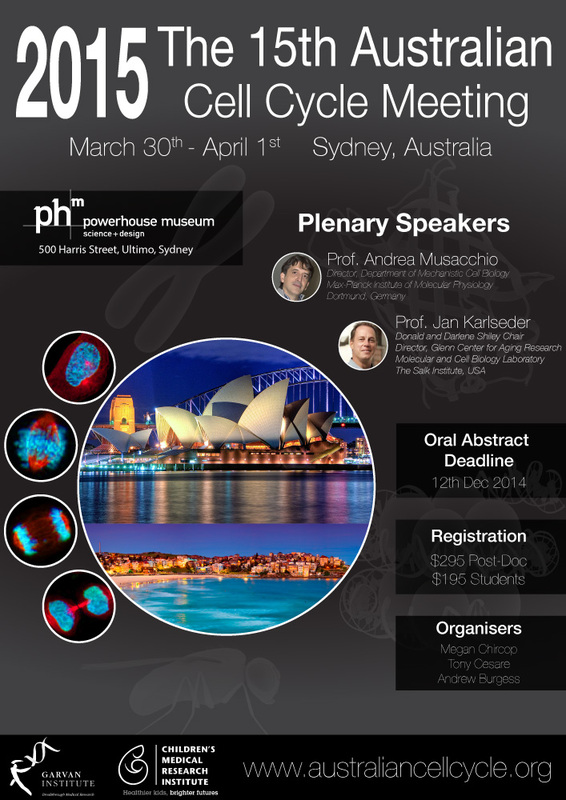 The 15th Australian Cell Cycle Meeting will be held from Monday the 30th of March to Wednesday the 1st of April, 2015 at the Powerhouse Museum, in Sydney Australia. We are also very excited and pleased to also announce that Plenary Lectures will be given by two world class experts Prof. Andrea Musacchio and Prof. Jan Karlseder. Registration and further information will be announced soon. Looking forward to seeing you all in Sydney Australia for #ACCM2015.